Chinese cuisine has a long history, and is one of the Chinese cultural treasures. It is as famous all over the world as French cuisine. 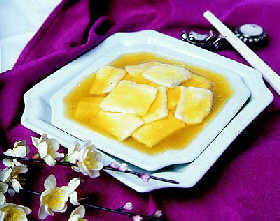 Chinese cookery has developed and matured over the centuries, forming a rich cultural content. It is characterized by fine selection of ingredients, precise processing, particular care to the amount of fire, and substantial nourishment. Local flavours and snacks and special dishes have formed according to regions, local products, climate, historical factors, and eating habits. 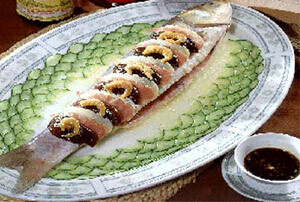 There are four major local cuisine in China. Each local cuisine has its own characteristics, but Chinese cuisine as a whole is divided into four major schools-Shandong, Sichuan, huaiyang, and Guangdong (Cantonese). Four more can be added: Hunan, Fuijian, Anhui, and Zhejiang. Sometimes Beijing and Shanghai cuisine are also counted. In addition, China has Special Cuisine including Palace, vegetarian, and medicinal dishes are categorized a special cuisine. China also has some local flavors and snacks In recent years, fast food, such as Mcdonald's hamburgers, Kuntucky Fried Chicken, and pizza have become popular in China. Guangdong cuisine uses a great variety of ingredients such as birds, freshwater fish, snakes, and saltwater fish. 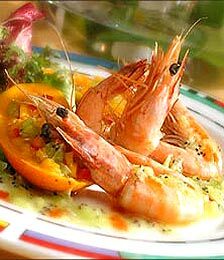 It emphasizes freshness and tenderness. Representative dishes of the Guangdong cuisine are three snake dragon tiger meeting, dragon tiger phoenix snake soup, stir-fried shrimp, eight-treasure lotus-seed glutinous rice, fresh mushrooms in oyster sauce, pot-cooked soft-shelled turtle, and crisp-skin roast piglet. This cuisine uses a wide and fine selection of ingredients. The plentiful dishes are cooked in many ways. Shandong soups are most famous, and green onion is commonly used as a seasoning. 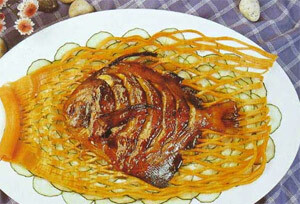 Shandong cuisine is best represented by its variety of seafood dishes, such as sea cucumber braised with green onion, braised snake-head egg, crab eggs with shark's fin, Dezhou roast chicken, and walnuts in butter soup. 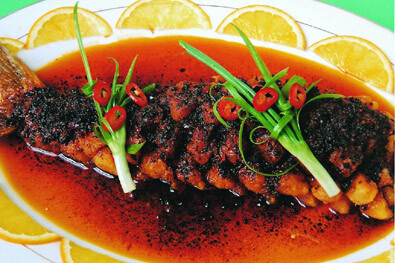 Sichuan cuisine dishes are famous in China and abroad for their spicy-hot taste and the flavour of Chinese prickly ash. Sichuan cooks select their ingredients with great care, use a variety of seasonings and cook each dishes are differently. 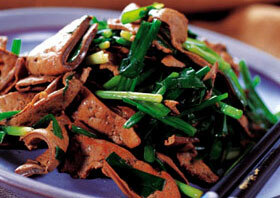 Thus Sichuan dishes are known as a hundred dishes with a hundred tastes. Most common flavour include hot and spicy, five fragrances, mixed spices, chilli and Chinese prickly ash, and sweet and sour. Famous Sichuan dishes include spicy pork shreds, diced chicken with peanuts and vegetables, bear's paw, chicken cubes in mixed spices, bean curd with chilli and Chinese prickly ash and fried carp. 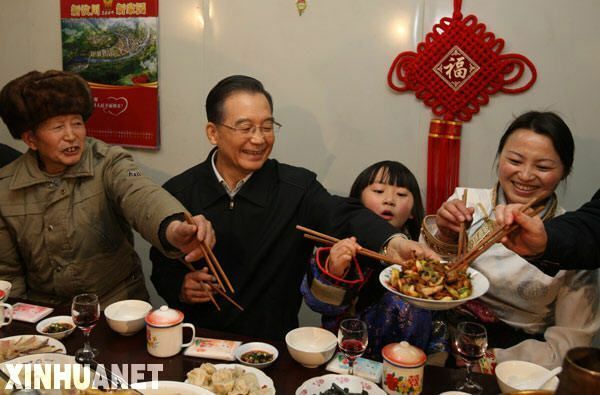 Huaiyang cuisine includes dishes from Yangzhou, Zhenjiang, and Huai'an in Jiangsu Province. It focuses on the freshness of ingredients. Huaiyang dishes have a light flavour, retaining the original tastes of ingredients. They also have pleasant colors and pretty shapes. Famous dishes include beggar's chicken, sweet and sour mandarin fish, chicken pieces with egg white, boiled salted duck deep-boiled crab meat in clear soup and steamed shad. 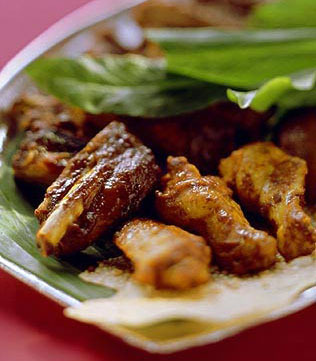 Palace, vegetarian, and medicinal dishes are categorized a special cuisine. Palace cuisine originated from the imperial kitchens, where dishes for emperors and empresses were cooked. Palace dishes are made from carefully selected ingredients and cooked with great care. Different dishes are made for different seasons. Cutting methods are exquisite. Diners eat according to traditional procedures. Vegetarian cuisine: Vegetarian cuisine became popular in the Song Dynasty (960-1279) and developed further in the Ming and Qing(1368-1911) dynasties. Three divisions of vegetarian cuisine—temple, palace, and folk- appeared during that time. Made of green vegetables, fruits, edible fungi, and bean products, and cooked in vegetable oil, vegetarian dishes are tasty, nourishing, and highly digestible, and they help the body resist cancer. They are cooked in various ways, and some taste like meat. Famous dishes include "chicken", mushrooms and gluten, "meat" braised in soy sauce and spices, "ham" with mixed vegetables, hot and sour spices, "fish" with Chinese toon, "shrimp," and dried "meat" strips. Muslim dishes became popular at the time when Islam spread to China, inheriting the cooking tradition of the nomadic peoples in ancient north-western and north-eastern China. 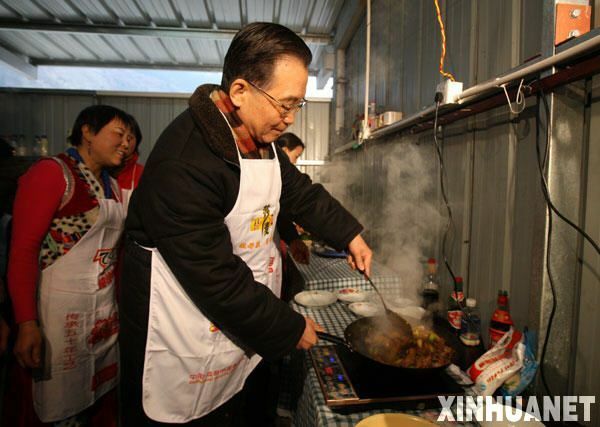 The most representative dishes include instant-boiled mutton, fried rice with mutton, dumplings with filling of mutton, cakes braised with mutton, and beef-entrails soup. Medicinal cuisine: Also called therapeutic food, medicinal cuisine is an important part of Chinese cooking. 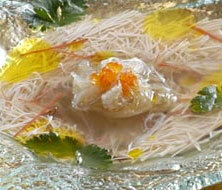 Master Chefs have developed many food therapies by combining cookery and traditional Chinese medicine. Famous medicinal dishes include lily and chicken soup, shrimp meat with pearl powder, tianfu carp, duck braised with soy sauce and orange peel, and steamed dumplings stuffed with minced meat and podia cocoas, a medicinal plant. Other famous cuisine includes Confucian dishes, Tan's dishes and full formal banquet cuisine, combining Manchurian and Chinese delicacies (Manhan Quanxi). China has many local flavors and snacks. The southerners prefer rice, while the northerners prefer noodles. Beijing flavor is famous for sweetness, Guangdong snacks are more Western, and Suzhou snacks have pleasant colors and beautiful shapes. The most famous Chinese local flavors and snacks include bean curd jelly in Beijing; Goubuli steamed dumplings in Tianjin, small steamed soup dumplings with the ovaries and digestive organs of crabs in Zhenjiang, small steamed pork dumplings served in the steamer tray in Shanghai, dumplings stuffed with crab meat sesame paste and pea sprouts.